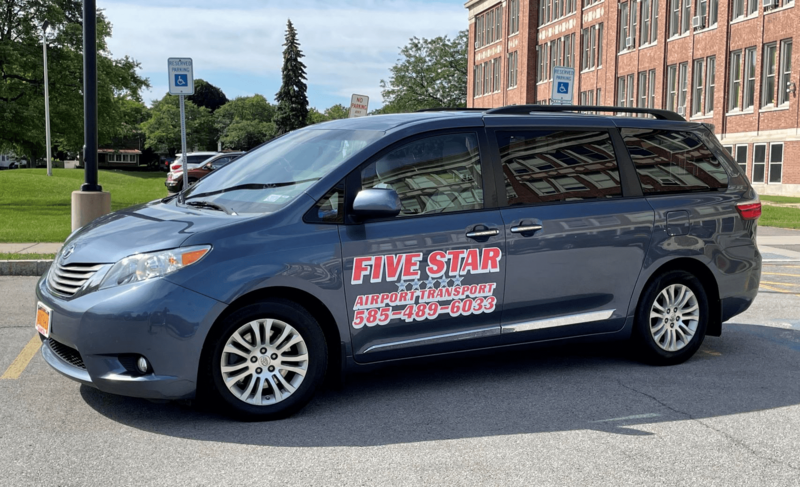 Five Star Taxi & Airport Transportation provides all types of taxi services to Rochester, NY and all of surrounding Monroe County areas. A locally owned business, we are native to the Rochester area, and guarantee that you will receive prompt, courteous service. Our company is available to pick you up all day, every day. Whether you need a ride to the airport, a doctor’s appointment, or just want to make it to campus safely, we can help. Five Star Taxi ensures clean, smoke-free vehicles for your riding comfort, and offer multiple vehicle sizes to accommodate any size party. Interested in a business or corporate account? We can do that too! Give us a call and we will be there on time, every time. We do all types of taxi service, so if you need a ride, call us! Contact Five Star Taxi & Airport Transportation today!